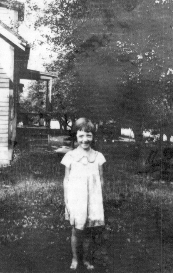 Grace was born on February 10, 1928, in a small house located on the dairy and produce farm belonging to her paternal grandparents, Joseph and Alice Moon Hill. [This residence is located northeast of North Park off Babcock Blvd.] It is 15 miles north of the City of Pittsburgh. She joined parents Harry and Hulda Fisher Hill and older sisters Mary and Irene, six and four years older. Life on the farm was busy for everyone, including the children, who helped with chores both inside and outside, from an early age. Time for play happened whenever some of Grace’s 25 first cousins came to visit. [She counts 18 from the Hill side and 7 from the Fisher side, including her immediate family.] Play centered around a rope/tree swing, a yard swing with benches on either end, the kittens on the barn, the spring and creek down over the hill, the hay barn, or the primitive “playhouse” area in the close-by woods. As the sisters grew, softball was added to after-dinner activities. Every winter, Grandmother Fisher came to stay for a few weeks. Quilting frames were set up in the living room, resulting in a finished hand-made quilt before she returned home. When Grace was about five, Grandmother taught her to read. The following year she turned six AFTER the cut-off date for starting school. Before Grace’s mother was married, she had taught two years in two different schools, [one in Pine Township and one near Pittsburgh]. It was decided that she would teach Grace at home. Books and worksheets were sent home so that when she started school the next year, she was placed in the second grade in the one-room school (for grades 1, 2, and 3). Later all township schools were combined into a new building with all the grades under one roof. Grace loved to read and loved learning and the chance to be around kids her own age. She always had good grades and was Salutatorian (second) in her graduating class at Mars High School. Her mother had returned to teaching when Grace was ten and her father had a heart attack and had to give up farming. He died during her senior year. She was 17. Eventually, her mother retired after teaching for a total of 26 years. Church at Cross Roads Presbyterian had always been at the center of the family’s life. All the girls attended Sunday school and sang in the choir. Her dad was an Elder. Pastor Thompson helped lead Grace to attend Grove City College, a christian-centered school located 60 miles north of Pittsburgh. She earned a BS degree in Commerce with the options of teaching Business subjects or using skills as a Secretary/Administrator. She began by teaching three years in a small school, Chicora High School, [now part of the Karns City School District near Butler, PA]. Her favorite subject to teach was Bookkeeping. LUANNE entered Old Dominion College [now University] in VA, meeting husband BILL D’amico when she was working at a local Pizza Hut on summer break. (Later, when they moved to Florida, she worked for 25+ years at the Millhopper Pizza Hut.) Luanne finished college after her wedding with majors in Graphic and Studio Art. She now lives about 10 miles north of Gainesville. Bill, who had built Grace and Virgil’s home, died suddenly in 2016. VIRGINIA “Ginny” attended the University of South Florida with majors in Art and Business. She worked for AT&T and married EUGENE “Gene” Lowe the day before he graduated from medical school with a specialty in General Surgery. Later Ginny home-schooled all four of their children, three of whom were excellent piano students. GARY moved to Florida after high school and began working with Chip McDavid, learning the roofing trade. Gary has worked for a number of roofers, the longest with Tim Flanagan Construction at Broadmoor Homes, Gainesville. He currently provides lawn care services, works part-time with Tim, and lives with Grace, helping maintain their home. At the age of 57, after 36 years of working for the U.S. Government (including Army time), Virgil retired. But, before doing so, he prepared by taking evening classes at the nearby high school on “How to Frame Pictures.” He already had some do-it-yourself experience with household projects. The motivation, of course, was knowing his children were busy turning out painting that need to be framed. 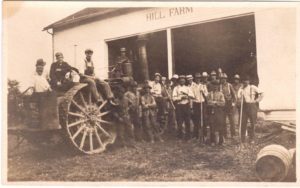 After gaining experience and sources of supplies, he began framing photos and artwork for fellow workers. He had finally found “what I want to do the rest of my life.” Grace, still employed, enjoyed working with his customers. She always liked working with color in craft and sewing projects. The great color varieties of art mats captured her interest. Soon she resigned from her job to work with Virgil, while looking for her own business to compliment framing. It was in the 1980s then and many entrepreneurs were starting businesses. She found her niche by using her legal writing skills and interest in design and color to prepare brochures, business cards, and newsletters to help new businesses reach potential clients. Virgil and Grace continued their businesses for about ten years, often attending the Professional Picture Framers Association conventions in New York, Baltimore, or Orlando. Virgil visited the framing classes and vendors and Grace, the art dealers’ classes on selling posters, etc. When they moved to Florida to be near Luanne and Gary, Virgil limited framing to just friends and family. During that time, Luanne showed and sold her colored pencil drawings and photographs at outdoor shows, often winning awards in both categories. After Virgil had a stroke in 2001 and died in 2003, Pastor Dan asked Grace to help Sharon Bartz restart the Art Exhibit Committee at her Trinity United Methodist Church. Thus began 14 years of identifying artists within Trinity and the greater Gainesville community to present three interesting shows a year – and enjoying wonderful associations with Art Committee members and participating artists. Another fulfilling experience for Grace at Trinity was helping with the Pictorial Directory in 2009 to celebrate the church’s 50th anniversary. She urged members to have photos taken, worked with Linda Bryant who provided the graphics, and tracked member addresses with Carmen Nelson and others, and proofed copy. Five grandchildren have brightened Grace’s life: ADAM D’amico, a graduate of the University of Florida’s Construction Management course, is the son of Bill and Luanne. TYLER, BAILEY, JON, and HANNAH Lowe are Ginny and Gene’s four. All five are interesting and talented. And now, Bailey and CHRIS Roberts have made Grace a great-grandmother with two children: PETER and CECELIA. [Grace admits to slowing down a bit, but she still stays quite busy, going for a daily walk – in the pool when it’s warm enough – or riding her exercise bike. She always fixes and eats three good meals a day and drinks eight glasses of water. In addition to keeping up with personal care, shopping for food, having coffee or lunch with dear friends, and tracking folks who are in the hospital or home, she likes to have lunch on Sundays with a group called the “Subway Saints” – named for the restaurant, not the transit system, we assume. Grace collects jokes, enjoys reading biographies, and spends time with Luanne and grand-dog Riley. Her daughter’s art work is now online. At 91-years of age, Grace says it is gratifying to look back on her life, the experience of God’s LOVE, and the love of family and friends that have surrounded her. But, she also looks forward every morning to start a new day to find out WHAT and WHO will appear in her life – perhaps another angel – to keep her moving as DOWN THE ROAD WE GO!